September has already crept up on us and fall is in full swing! With that being said, it's time to mention a few fave Sigma products! Each month beauty bloggers and YouTube’s top makeup gurus always seem to have a favorite product from Sigma and we love sharing with you what each of them are. 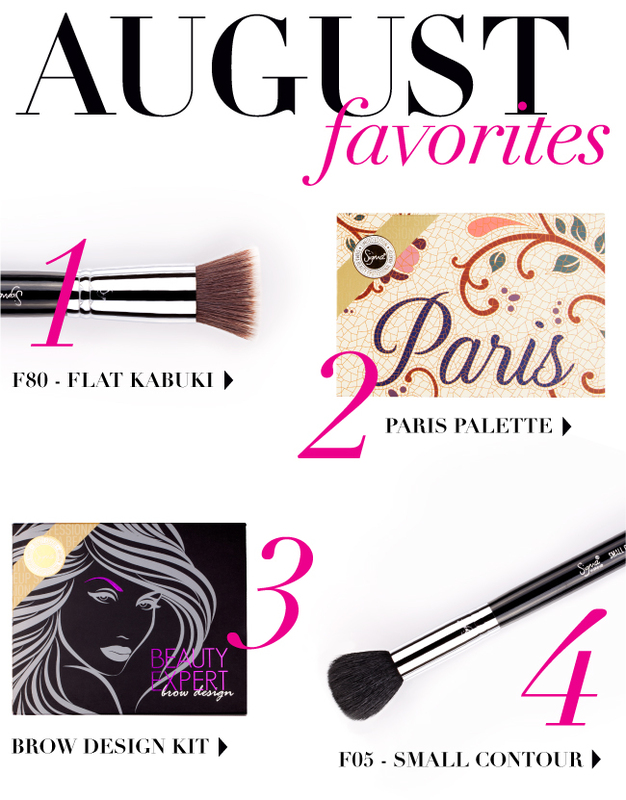 Keep reading to find out which products were most loved for the month of August and why! BONUS -- don’t miss out on entering for a chance to win one of our most talked about top-rated products! Ciaoobelllaxo loved the new Beauty Expert Design - Brow Kit! She said, "I've been using it all month!" She also mentioned it's great for traveling! RachieFab411 has been adoring her F05 brush. "It just fits perfectly in the hollows of my cheeks. It's probably my favorite brush right now." And on that note, it's time for our monthly giveaway! 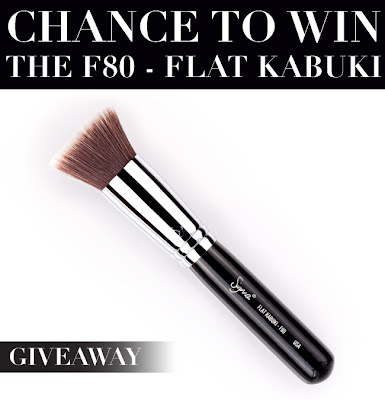 This month we are giving away our number #1 best-selling brush -- the F80 which features exclusive Sigmax fibers, uniquely designed to apply powder, cream and liquid products seamlessly and without absorption into the bristles. *TO ENTER: Fill out the form below with your name, email address, and tell us your favorite makeup look for fall. The winner will be selected at random and announced at the end of next week! Good luck, gorgeous! I would LOVE to win this brush!!!! :D I need a brush that makes my foundation look flawless and this one is exactly what I was looking for!! :D Thanks!! Can't wait it the end of next week I been wanting it but never had a chance to get it. Love Sigma!!! And the fact that I live in Minnesota. Where Sigma is located! iim so happy the prize is an F 80 :D i hope i win! loveee sigma! thnx for the giveaway!!! gud luck to all participants!!! OMG! I am dying to own some Sigma brushes, but my electric bill is cutting me off from getting them! :( Oh well! LOL! I love your products especially your brushes but your palettes are gorgeous. I am a huge fun of yours. I hope win! I only bought one thing from sigma! And i like to have this BRUSH!!! Thanks Sigma! Hope I win! I don't own any brushes! Hope I can win to :)) Good luck girls! I would love to win this brush! I really want to buy a set but with buying a house and saving for a wedding next year. Any extra money is saved :/ Come on Sigma! I need a lucky streak! Anyone who wins this brush will be very lucky because Sigma brushes are awesome! yay,what a lovely giveaway!hope i win!! !